The first version af OZFF Logger developed by OZ3FI was ready in the Spring 2016. It´s very simple to use. Style like N1MM, CT etc. The programming languages is MicroSoft Program C# and only for Windows 7 – 10. (Don´t try on XP). The name is OZFF Logger, but can be used in any WWFF ref. around the Globe. All National programs FF are already added. You may also edit the Activating box if Your area are missing. One more Note : At installation virus alert can come – This is not a virus, please ignore !!! The version 4.6 – All WWFF areas are added. The version 4.5 – All WWFF areas are added. Some bugs fixed – TNX to OZ1CX for feedback. 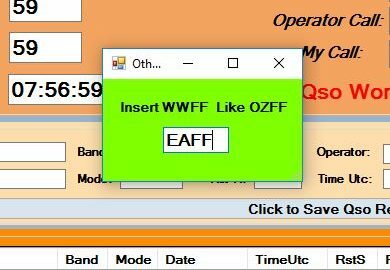 For Digi users – Automatic copy of Calls and (RST – FT8 only) via Clipboard. And Call, RST S and R is automatic added to the OZFF Logger. 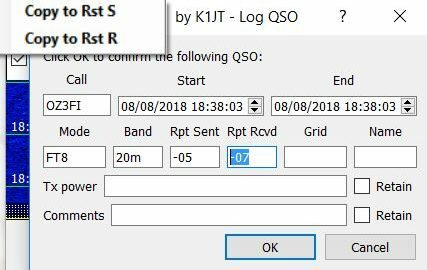 Note in RTTY the function only work for the Call. The version 4.4 – All WWFF areas are added. Some bugs fixed. The version 4.3 – A new simple WWFF Cluster spotting function. 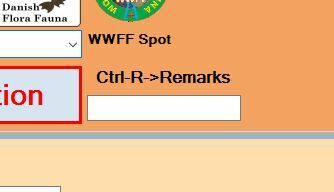 New WWFF areas added. TNX to DL4MFM / Mario for supporting the spotting function. The spot will only be visible at the WWFF Cluster, where “Selfspots” is legally. The Spot function only workes, if You are online – Mobiledata can be shared via a SmartPhone etc. The version 4.2 – A box for comments and a Call Search function add. Some bugs at manuel use (date) fixed. TNX to EA8CSB and G0RPA for feedback. Use “Ctrl-R” for a comment – Use “Esc” for returning to the Call box. 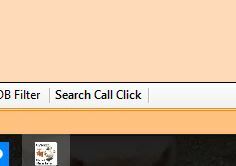 Click at the “Search Call” for finding a callsign in the log. The version 4.1 – All WWFF references can be found now. 6M + 2M + 70CM + 23CM + FM are added to the dropdown lists. 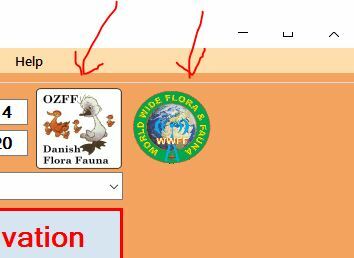 WWFF Cluster link are added. (TNX to G0RPA and EA8CSB for feedback. TNX to I5FLN for supporting with updated WWFF ref list). After installation / updates, You may select default “National FF Program” (Can be changed at any time) : Next time You start the OZFF Logger, it will remember chosen Program. Click at “Load Country FF Area”. Type wanted National Program with keyboard. Select “Band”, “Mode”, “Operator” and “Station Call” (Note if Band or Mode is missing at dropdown, use the Keyboard). The OZFF is a link to this page. The WWFF is a link to the WWFF Cluster. After Activation click “Finish Activation” and an ADIF file ready for upload will be created. At the “C:\OZFF Logger\Activating ADIF” You may find the finished ADIF file. At the ” C:\OZFF Logger\ADIF Backup” You may find a back up of everything. 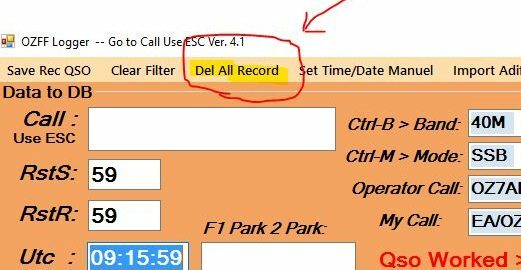 At the end click “Del All Record” – Please check the ADIF file before deleting all the log. The version 4.0 – All WWFF refs updated + some color changed. The version 3.9 – Version number added to the ADIF file. Up to date with WWFF references. The version 3.8 – The program are more safty, space can´t be usen in the Call box, band, mode etc. At the operator box a callsign have to be used, not name of Op. The version 3.7 – Use “F1” for shotcut to the “P2P” box and “ESC” for back to the “Call” box. When You download, perhaps You will get some Virus alarms – Just ignore it, this Software is not a Virus. Contact OZ3FI for any problems. Please note : This Demo are not updated – Lots of changes after version 4.1.